I could put a photo of somewhere recognizable like Machu Picchu, Paris or Rome here, but sometimes it’s nice to not quite know where you are. 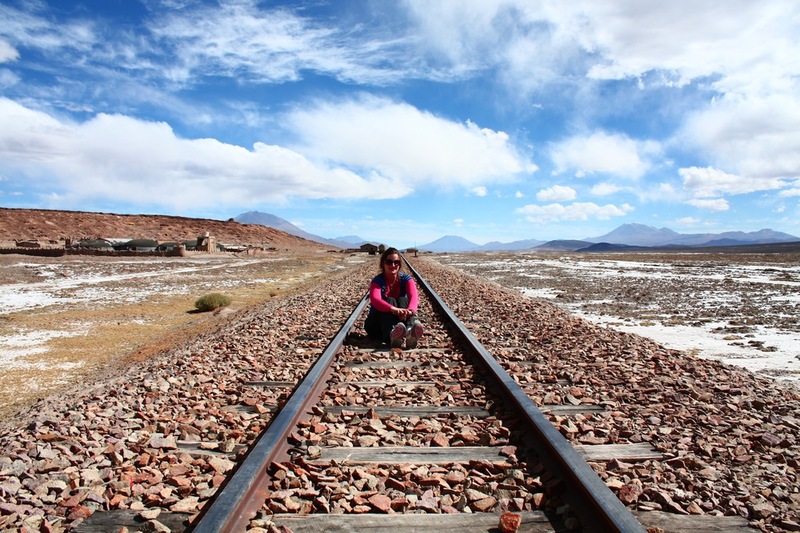 In this photo I’m sitting on railway lines not too far from the Salar de Uyuni in Bolivia, but I don’t really know exactly where this was. The south of Bolivia has some of the most amazing landscapes I’ve ever seen and part of the appeal is that you feel special being there because they’re not easy-to-get-to places and it’s not likely that you’ll know heaps of people that have been there….yet!